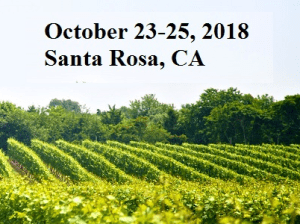 The 2018 Wine Marketing & Tourism Conference is fast approaching – are you coming? Here are 5 great reasons to join us next week in Santa Rosa! Best Practices Sharing Summits. Join your peers to discuss key trends in the industry. We will be breaking the groups down into Events, Marketing and Tourism – pick and choose your topic! Opening and Closing Keynote Speakers. Michael Thomas of Google Travel will be highlighting key aspects of Google Travel that you can use and apply; and Judd Wallenbrock of C.K. Mondavi & Family will close out the conference with insights from his many years of experience in the wine industry. Breakout Sessions. We have a long list of breakout sessions in Marketing, Tourism and Events. Need help with your SEO? We have you covered! Want to learn how to work with your local partners? Join us as our expert speakers explore a variety of relevant industry topics. All-Group Sessions. Our panels will provide key information to our audience in the areas of hospitality and events. Between them, the panelists have decades worth of experience just waiting for you to discover. Networking. Join us for our Hospitality Suite, our Wine Reception and our optional Bottle Share Dinner, all of which are a great opportunity to meet your fellow attendees in a relaxed setting. Registration is still open, so signup today! If you are already registered, we look forward to seeing you there! We have several opportunities to network and socialize at this year’s Wine Marketing & Tourism Conference. Whether you are new to the group and the area or are reconnecting with old friends and acquaintances, we have a networking event for you! Sharing Best Practices Summits: Included in your conference registration price, these three-hour summits allow you to meet with your direct peers to learn from industry leaders, hear from those with experience in your field, and share your own best practices. Opening Night Reception & Expo: Meet all our sponsors and enjoy wines from across North America and the world on Tuesday evening. This is a unique opportunity to try wines from states you don’t normally patron with your wine purchases. Staffing a table is free to non-profit or governmental winery associations and DMOs attending the conference. Taste of Sonoma County Wine Reception: Relax and unwind with a variety of Sonoma County wines in this wrap-up to Wednesday’s events. Optional “Bottle Share Dinner”: Coming to WMTC and want to socialize with your fellow attendees? 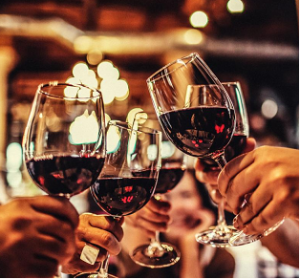 Join us Wednesday evening as we enjoy a 3-course Prix Fixe meal in the Flamingo’s restaurant and bring your favorite bottle of wine to share with the group. This will be an additional cost ($36.50) and limited to 22 attendees. Sign up when you register. Registration is $475 for the conference – register today!